Special correspondents of KP [Russian newspaper ‘Komsomolskaya Pravda’ -trans.] Alexander Kots (AK) and Dmitry Steshin (DS) spoke with the famous pianist before her concert in Donetsk. 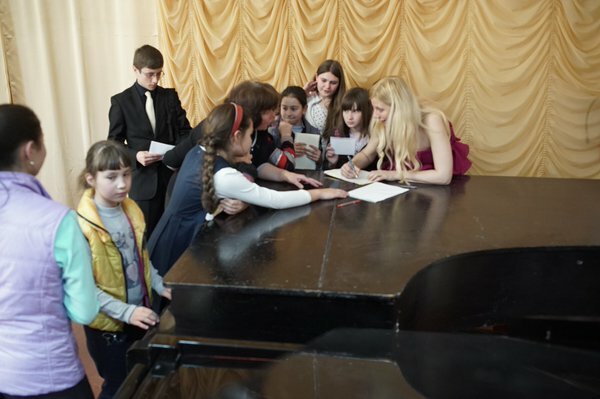 Classical pianist Valentina Lisitsa is not just loved in the Donbass, she is worshipped. And not only for her professional qualities, but for her position which she persistently, not in a western way, stands for. Her support of the Donbass caused her many serious scandals, broke relationships with friends and colleagues both in the Ukraine, where she comes from, and in Europe. She, despite risking to become a ‘persona non grata’ in her professional circles, comes again and again to perform in the war-torn land. Tickets to her concerts sold out in a few hours. Before her performance in Donetsk we [AK & DS -trans.] popped in to her rehearsal. AK & DS – We have been performing here since the very beginning – since March 2014. And it is somehow sad that so few musicians and actors come here to support the people of the Donbass, they can be counted on the fingers of one hand. But you are here for the second time already. 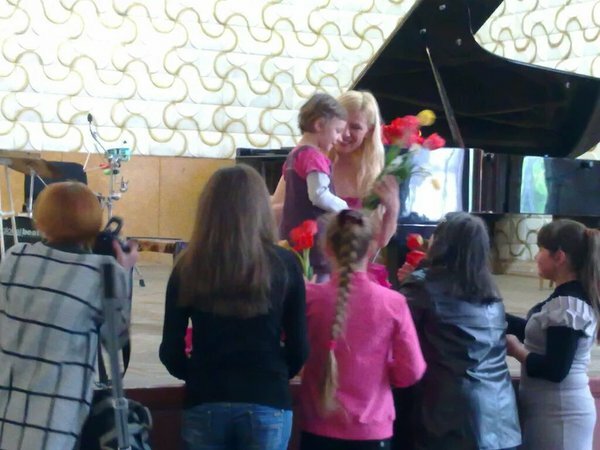 Valentina Lisitsa (VL) – I have been closely watching situation [in the Donbass –trans.] from the very beginning and my heart was bleeding. Maidan… I was perceiving it somehow differently. I am from the generation from the period of the Soviet Union collapse. I used to speak Mova [Ukrainian language – trans.] and run around in embroidered blouses. We had such independence… Then that generation realised that it was deceived and all of them left. I ended up in America. I felt sorry for the young people at the last Maidan as they believed in the bright future while I had experienced it already and knew everything. Odessa was a disaster for me, because my roots are from Odessa. I looked in horror at what happened there and realised that there is no return to the past. What happened in the Donbass and, fortunately, did not happen in the Crimea … I wanted to support the people. I am a pianist, my only weapon is my music. And it turned out to be a very powerful weapon. When I played here for the first time I realised that the music is not just for pleasure, not some nice, elitist thing for people who have everything. No, people need music like oxygen. In Donetsk I play Prokofiev, he was born here. Here are our roots, our civilisation to which the people, who are listening to me here, belong to. Everything was tried to be taken away from them, with blood. I feel how they need music; I do not think how much is dangerous here and how the West will look at me. If anything, I have a home here and I can always come back. I came to Donetsk from Berlin, then will fly to Canada, but my family and my people are on this land. AK & DS – Back in the 90s it was noticed that, despite all the ‘freedom of speech’, there is a secret switch in the West. If it is switched off, a man, whether he is famous and talented , suddenly disappears from the information field. Forever. Are you not afraid of losing the audience? VL – The elite always created obstacles for me. That is why I created myself on my own, simply through YouTube. Over a hundred million people watched me. I do not think that someone can take these listeners away from me, or deceive them by telling them that I am not the one I say I am. I was not allowed to play in Canada last year. But recently I performed in Toronto. All tickets were sold out, and when I went on stage, I was greeted by a standing ovation. Actually, there are more thinking people than it seems to be. Not everyone automatically believes the TV. They are to whom I appeal. I’m not afraid of threats, even though I was threatened many times. I was threatened to be killed; I and my family were insulted. But that’s nothing. It’s not worth the tears of a child. Two days ago I played a day-time concert in Gorlovka. There were so many children there… They surrounded me, they wanted to play for me. We were warned that it was time they went home, as it was late … I, foolishly, thought: ‘Well, let the kids play’. Then we left and at 19:10 Gorlovka was fired at while the kids returned to their homes under shelling. I played them Prokofiev, Bach, Chopin and remember how they looked at me. It was my best reward. 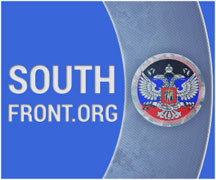 AK & DS – Is what happening in the Donbass somehow discussed in the West? Is there anything in the newspapers, on television? VL – Something has started to appear. But majority of the discussions are in the ‘alternative’ media: Twitter, Facebook. I met a large number of ordinary people around the world. We are called ‘Kremlin trolls’ and blamed for all deadly sins. However, these very people are conveying the truth to the entire world. We are poking around a stone wall with a fork to make a small hole in it, the hole through which the sun will shine. Judging by the communications, there are more and more people who understand what is happening in the Donbass and the Ukraine. AK & DS – What did strike you in Donbas, so that it would be straight to your heart? VL – We were in Debaltsevo and I was shown an apartment building, from which only the walls remained. And everything was so gloomy and grey. 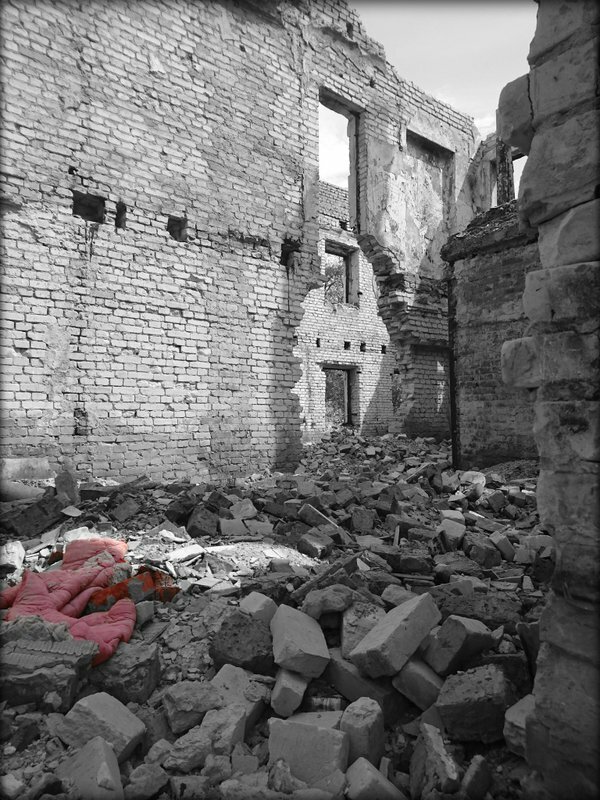 Suddenly, among this there was a bright spot – a pink baby blanket, girly. There is no need for any photos with blood and dead bodies. It is enough to show a baby blanket that somehow survived in the burned house. AK & DS – Have you seen any difference between Donetsk nowadays and last year? VL – Wherever we go, we see people literally come out on Saturdays to clean, paint doors, windows and walls. People know this is their land – they cannot escape anywhere. In the Ukraine people dream of a visa-free regime; the whole country is ready to run away. The people of the Donbass have nowhere to flee. They protect their land, their ideals, their history, their civilisation… They take care of their land for real. I conducted an experiment exhibiting photos from the concert in Stuttgart mixed with Donetsk ones. I asked which of these cities is a European city? I did not like Stuttgart – litter, graffiti everywhere, weeds on the main street. In contrast to Donetsk it was a little shocking realisation for everyone. People who clean the streets, proud of what they do. They may be not inventing spaceships, but they do a very important things for the city. I wanted to hug and kiss them all. What they do is important for the survival of Donbas like any other business. VL – At the same time they [people of the Donbass – trans. ], for example, are repairing the roofs not with plywood but with pretty new slate. So they believe that there will be peace and are building their future right now. AK & DS – There were cases here of families breaking up because of different views on things. Were you somehow affected in any way? Have your friends in the Ukraine turned their backs to you? VL – Not only in the Ukraine, it was much harder to perceive the behaviour of friends and colleagues in the West. It was one of the most difficult moments, when I was accused of all deadly sins, except eating babies. The first time I returned from the Donbass someone started a “hoax” in the Dutch press that I tweeted that I was very pleased with the crush of the Malaysian Boeing. And how did my colleagues with whom I have worked for so many years react? One wrote a letter: ‘Valentine, I know you did not say that. But I have other friends who have lost their relatives, therefore, I cannot continue working with you’. I would stand firm for a man whom I know. But those good correct Europeans heard something on TV and washed their hands of me. He and I were very close. His favourite composer was Shostakovich who endured oppression, betrayal of friends … And this Dutchman, knowing my civic position, turned away from me, like those ‘friends’ of Shostakovich. I want to ask him after many years whether he has learnt to better understand the music of Shostakovich. That is a West European style: not to be engaged and stand aside. It was the biggest disappointment. AK & DS – It is a common human tradition defeating a war with the music. Remember Shostakovich in the besieged Leningrad. Remember the film ‘Welcome to Sarajevo’: the cellist climbs the hill above the town, starts to play and people from the ruins are drawn to him. Now you came to Donetsk. Will the war continue? How do you feel about it? VL – I want to believe that all the people on the other side are already fed up with the war. They will achieve nothing with it. People here will stand till the last man is standing as they fight for a just cause. And they do not want any shameful peace that looks like surrender. They want fair and just peace. A lot of water has to flow under the bridge before there would be a rapprochement of the Ukraine with the Donbass – too much blood was shed. You see, the average Western man knows about ‘Russian aggression’ in the Ukraine. And who is the aggressor in fact? The aggressor is in Kiev. Neo-Nazis with their extreme ideology were sent here from there. They shot the grandmothers that went against their tanks. While there is no awareness, until they say: ‘Yes, we are guilty’, until the perpetrators go to court with the instigators. It is clear that there are plenty of adequate people there who were herded into the army and who execute the orders. But there are also many ideological murderers and those who came here for money… Everything must be sorted out and perpetrators sentenced with the appropriate punishment. Only then reconciliation and rapprochement can start. AK & DS – In your spare time, what music do you listen to? VL – (laughs) I’m in the classical music 99 percent of my time. My hobbies are folk music – Russian, Ukrainian, some kind of exotic ones. It is hard to live without music so it lives with me. I have no vacations, no holidays. It’s always work, work, work. AK & DS – Well what do you have on your player, on your phone? VL – Classical music (laughs). … and some photos with her youngest Donbass fans. I am from Vancouver,Canada and I wanted to say that it is good that Valentina Lisitsa got good support in the Donbas.She also got a good welcome here in western Canada about a year ago. I believe she will be playing in Toronto, Canada this summer. I’m sure she will get a good welcome there too.Valentina Lisitsa is doing good work in telling the truth about what is happening in the Ukraine.Here in Canada and the USA the truth about the Ukraine is hard to get.She is doing a good job and I hope she continues to do so. She is right, the way of life on the west, like Disneyland , is false…. Stop believing lies…. The reality is , the system is absolutely rigged against you and there is very little to nothing you can do. Empire wants total control and they get it, without pink revolutions in this part of the world. In Canada, we got rid , finally, of our very fascist PM and elected a man that everybody thought he was the ONE! Well, he is not, the environment promises are going down the tube as many other. Nothing changed after the election, the elites are firmly in control. So, hats to the lady and her country, that one day can continue existing besides its bigger sister Russia. And if you have a concert on Montreal let us know, please. The irony of that Dutchman’s rejection of his friend Valentine, is that the Ukrainian government (albeit under US orders) were the ones who downed MH17. There was ample evidence of that early on for anyone who cared to look. e.g., the now changed BBC tape of eye witness accounts to the downing (note the transcript has been changed to match the new altered video in an article on this site as well , presumably hacked or infiltrated). Then there was the admission from the Yanks that their original evidence against the Militia , their faked spliced audio evidence was not credible. Then the photos of cannon fire holes on the side of the cockpit. The fact that MH17 was redirected into the battle zone after having studiously avoided it for weeks in advance, and then the three days after the downing, the historic routes recorded on sites Like FlightAware and FlightRadar24 were changed to make flying over the war zone look “normal”. In each case, the faked evidence, and the cover up is absolutely damning as to who did it and why. And then this fool betrays a friend for a lie. Its very sad. But that’s human nature. I’ve no doubt in years to come, his conscience (if he has one), will make him regret that betrayal.